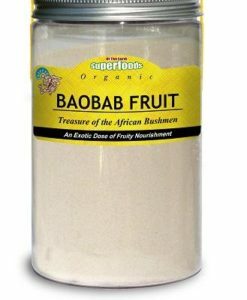 Baobab has strong energy-yielding properties. 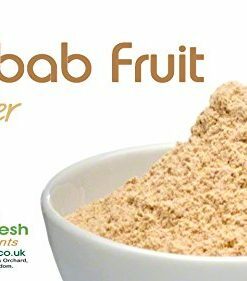 It helps improve the body’s efficient use of calories from food into energy. 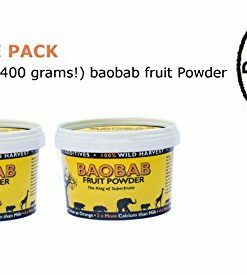 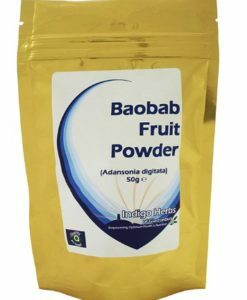 Potassium in Baobab powder is essential for a healthy nervous system. 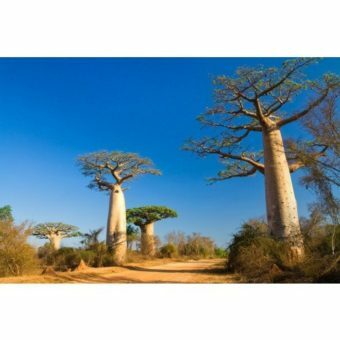 Perhaps the most iconic African tree, the baobab has been featured in the west as gigantic trees in the novella ‘The Little Prince’ by Antoine de Saint-Exupery and as the Tree of Life in Disney’s ‘The Lion King’. 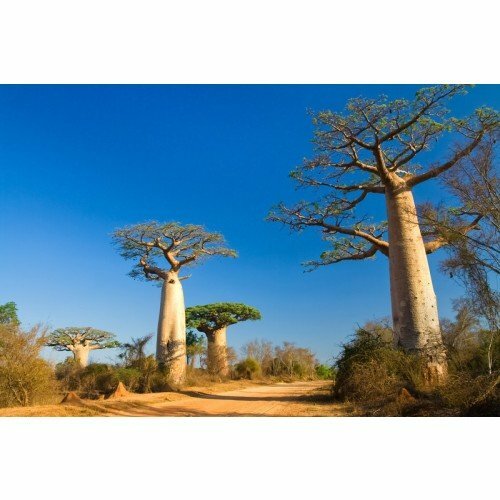 Both representations are rooted in real-life perceptions of the baobab. 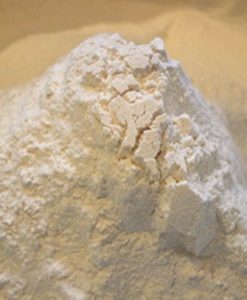 Foods rich in vitamin C are a cornerstone of the anti-wrinkle diet. 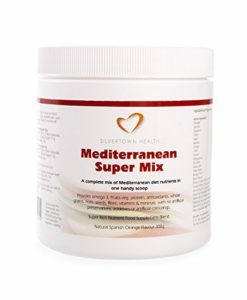 Vitamin C, whether derived from foods or dietary supplements, helps your body form collagen and elastin, two structural proteins that give your skin support and elasticity. 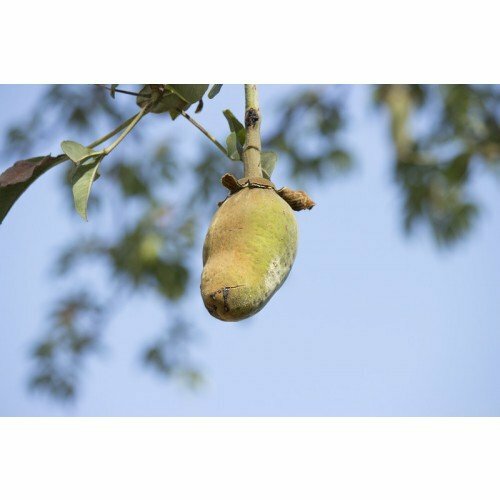 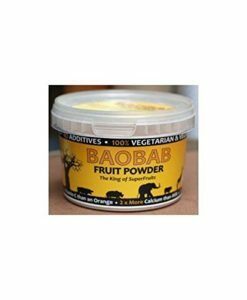 Baobab Powder natural forms inside the hard-shelled fruit of the African Baobab tree. 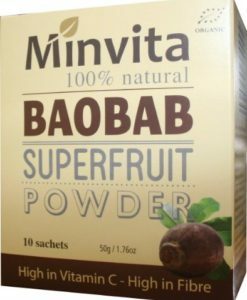 This Superfruit powder is high in Thiamin, Fibre and Vitamin B6, Calcium, Vitamin C and Potassium. 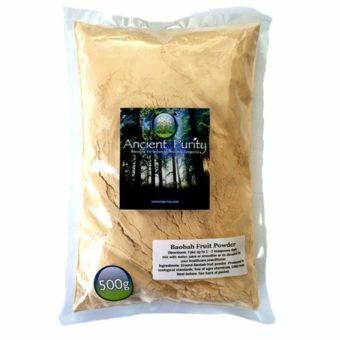 It’s another great food option of vitamins, minerals and antioxidants. 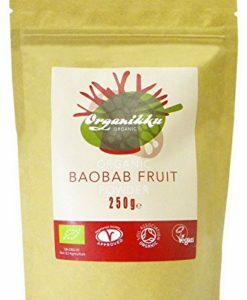 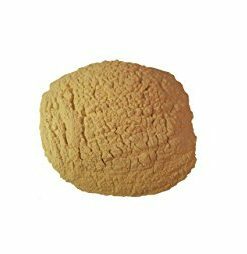 Varicose veins and venous insufficiency are further examples of cardiovascular problems that may sometimes be alleviated by adding vitamin C rich foods, such as baobab fruit powder, into the diet.